Blend all ingredients in food processor. Pour over pork, marinade overnight. 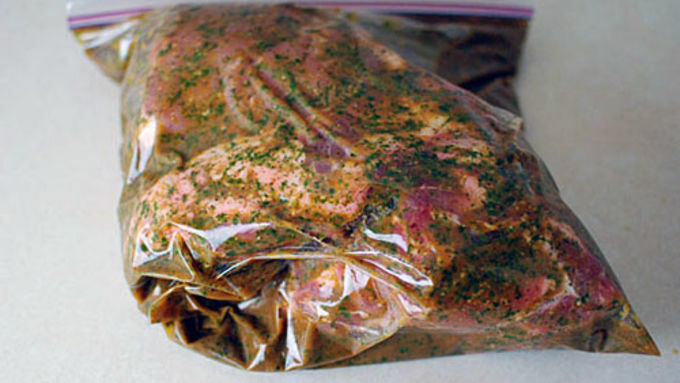 Dump pork and marinade into oven safe pot uncovered. If needed, add a little water so the liquid goes about 1/4 up the side of the pork. Bake at 275°F for about 7 hours until browned on the outside and falling apart. Shred with forks or hands. Every time I mention pulled pork to someone, they reply with a variation of the same sentence: “I have a great slow cooker recipe where I just add pork and X (root beer, BBQ sauce, etc.) and it comes out amazing!” I have nothing against these recipes. They work. 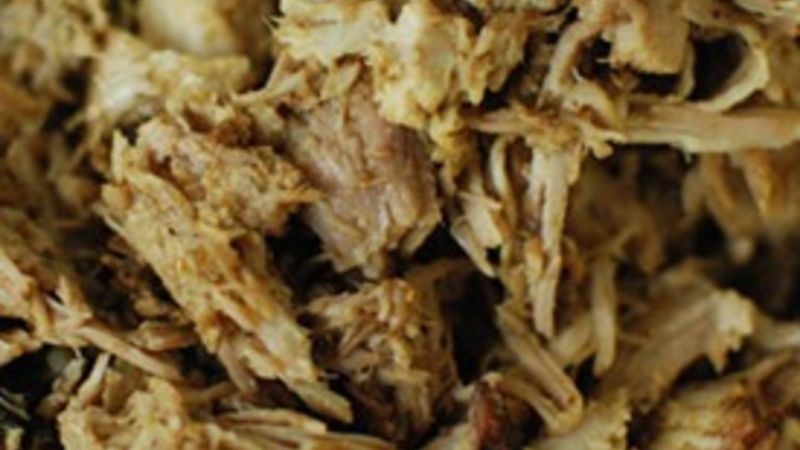 They create very serviceable shredded pork that fits hectic schedules and tastes pretty decent on a bun with cole slaw. The main two issues I have with these recipes are 1) the pork becomes a little overcooked and very uniformly textured, and 2) the sauce is extremely sweet, resulting in a lot of sugar intake! 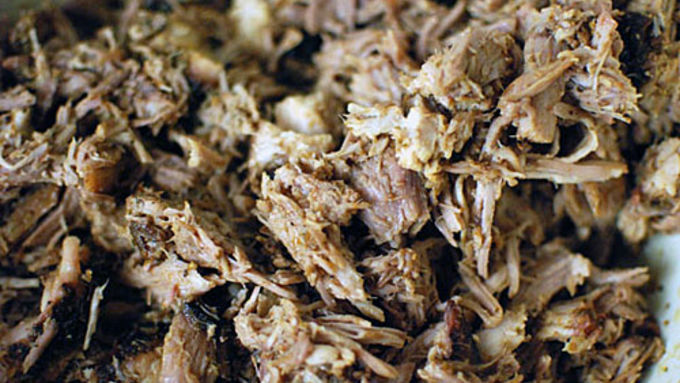 With only slightly more effort, you can make shredded pork that has varied textures, charred edges, smoky-sweet-slightly exotic flavors, and actually tastes like pork and not sugar! This slow-roasted pork recipes will result in some delicious shredded pork that you can use for anything! The first night I made shredded pork arepas stuffed with pickled carrots, roasted poblano, and queso cheese. Yum! What else can you do with all this pork? I’m glad you asked! The second night I had this pork in my fridge, I made these little habanero poppers. You could add a little BBQ sauce and serve it as a slider with homemade pickles, toss it on a pizza or nachos, in tacos), in a quesadilla or empanada. Or you could get really creative and put it into a ravioli or stuffed shells. I even had pulled pork stuffed into an olive at a recent tapas dinner I attended! The possibilities are endless and they're all delicious.